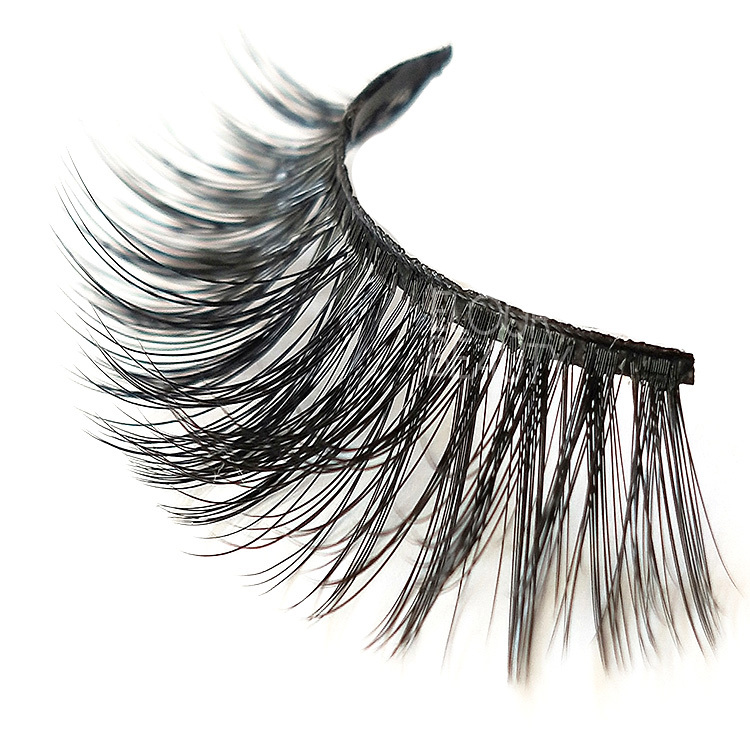 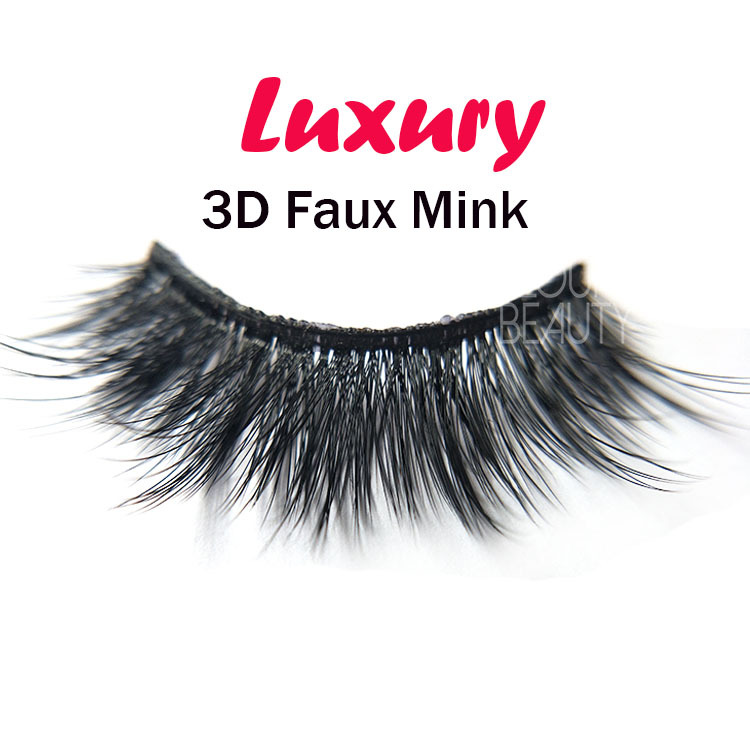 Private label 3D faux mink strip false lashes angel wing China.Faux mink hairs are vegan,animial no cruelty free and fumigated,although they are not real mink hairs,they are super soft,light,and natural looking,as good as the real mink hairs.The faux mink lashes are made in multiple layers,and have angel wing hairs,so really same as our natural lashes.They are the strip lashes,for each day using,and our faux mink lashes are long lasting for 20-25times with proper care.And customers own brand/private label can be made,with free design for any kind of box.And China lash factory wholesale and direclty supply,best quality. 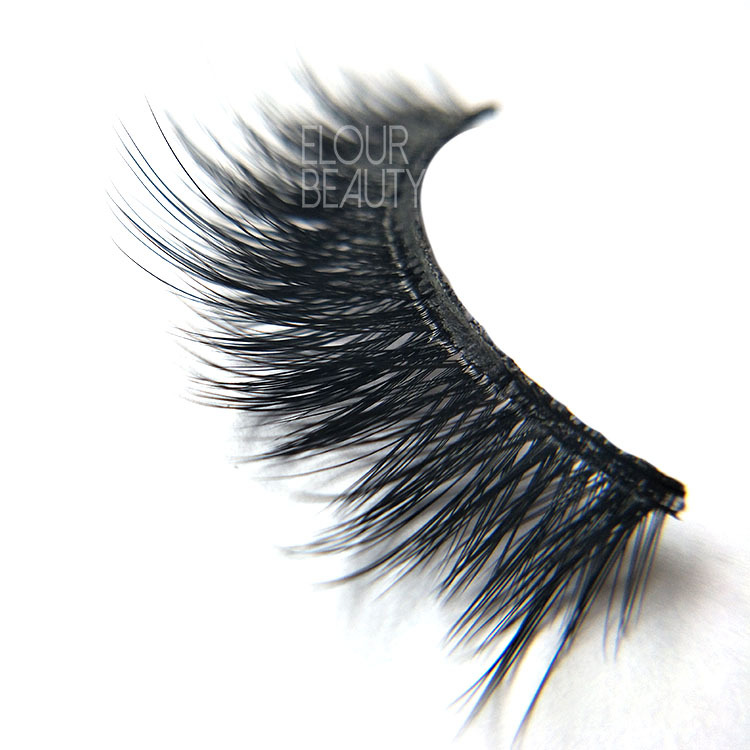 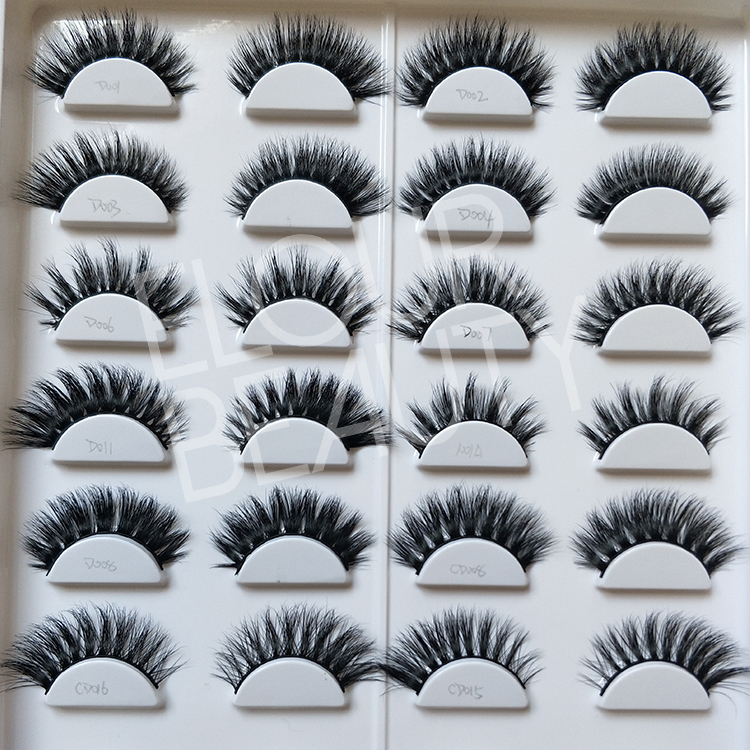 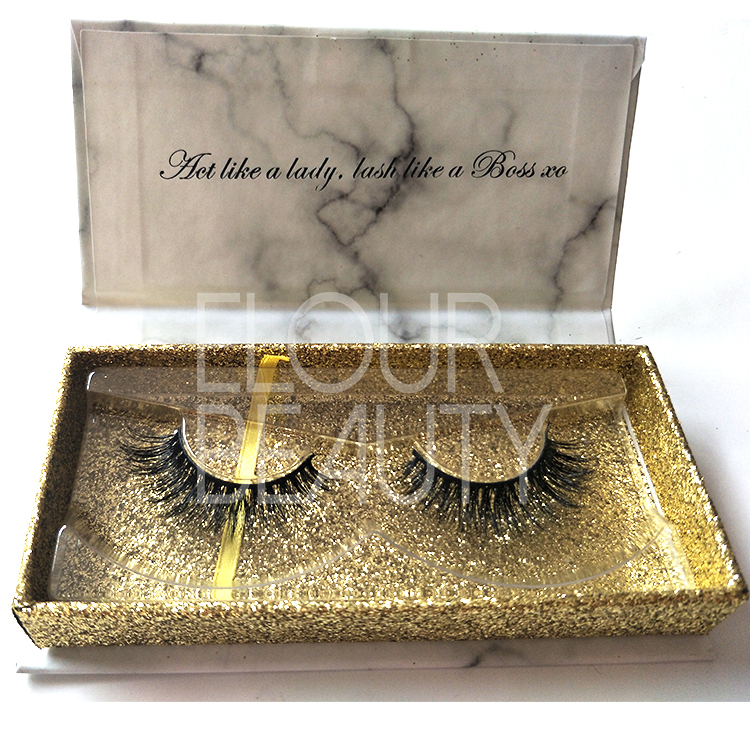 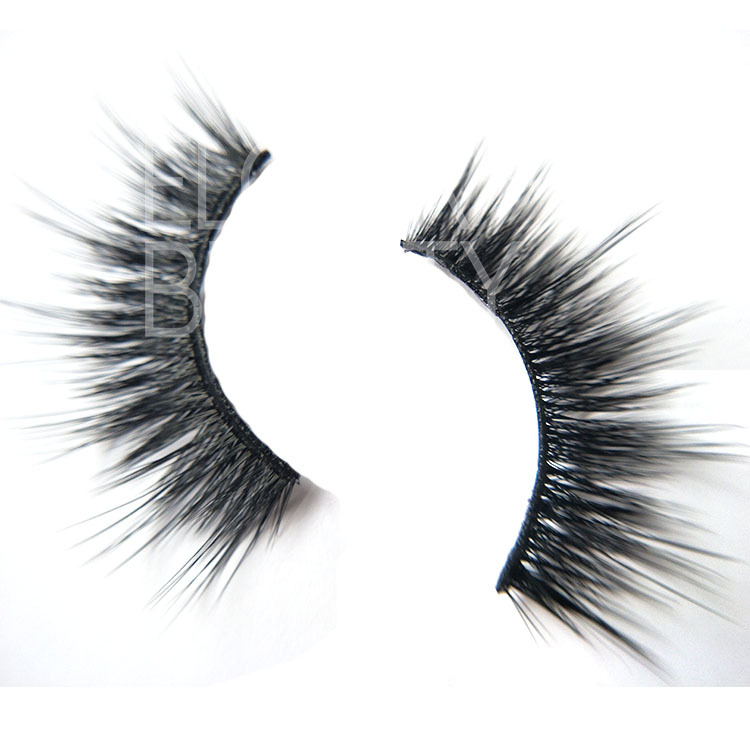 Elour eyealsh factory/vendor wholesale different kinds of high quality false eyelashes,and we only do high quality eyelashes,give customers the best purchasing feeling and service. 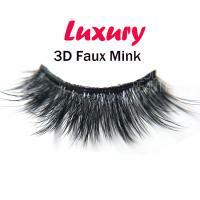 Many vegan customers do not use the real mink eyelashes,so we manufacture hundreds styles of faux mink 3d eyelashes,and many styles are same as the 3d real mink lashes,to give them the best natural looking.And our volume faux mink eyelashes have black bands and invisible clear band,to satisfy more needs.Our daily output is more than 20,000prs,and can ship fastly.We do private label package boxes,hundreds styles,free design as need.And we have different kinds of eyelash accessory,such us eyelash tweezers,eyelash curlers,eyelash applictors,glues and so on,to convenient our customers,no need to find,can do one-step shopping from us.Convenient more time,and shipping cost,and enjoy our best service.